Creation: This tiara can be worn as a necklace and can be placed on the head in several different ways. 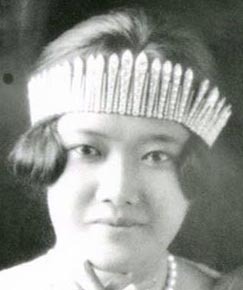 It's such a treat that you've been featuring Asian and Middle Eastern tiaras the past weeks or so. We don't often get to see them, except for maybe Lalla Salma. 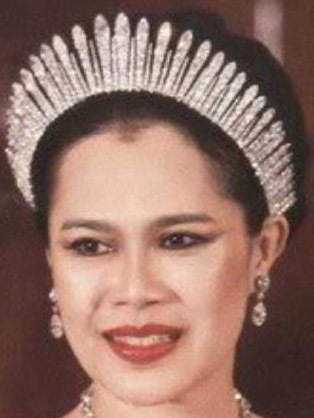 Did she get two tiaras when she married? She seems to have a mix of exotic ( the Pearl tiara) and traditional tiaras (the Meander tiara). She looks wonderful in all of them! 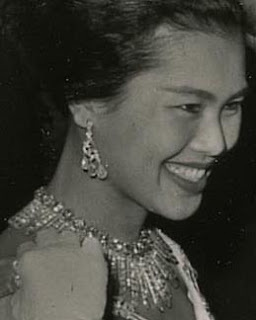 Queen Sirikit has quite a collection, doesn't she? 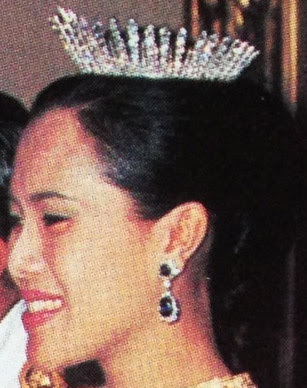 My favorite so far is the Diamond Tiara, though I must say the Floral tiara comes in a close second!